We are continuing to receive records from an increasing number of recorders, for inclusion into the distribution maps for VC56 (Nottinghamshire) which we produce on www.eakringbirds.com. Now after a number years, many of the maps have become increasingly more accurate and representative of species distribution across Nottinghamshire. These maps are helping local naturalists to research the distribution of species within VC56 (Nottinghamshire) more easily, which is something we never had a decade ago. Maps for the following Orders have now been updated to include those records already received from 2018. Some of the following list have already had second (smaller) updates. All maps are now up to date, but we welcome your records for the next round of updates later this year. If you use our maps but don't contribute records to us for inclusion, then please consider doing so. Our thanks go to those contributors who continue to support the work we are doing in creating a useful online resource, by sending us copies of their records. Do please continue to send records to us. If you would like to have your records incorporated into the maps, then ideally you should send them to us as an Excel spreadsheet file. We do accept records via email correspondence. An example of the correct column formatting, is shown below, or download a pre-formatted spreadsheet. Your name will be included in the list of contributors given with each map, but do remember to keep sending all your records to the relevant county recorder. A current list of county recorders, collating Nottinghamshire's invertebrate records, can be found further down this page. We usually credit records contributed to the species maps, to the individual or organisation (Lound Moth Group, Netherfield Wildlife Group etc) who take the time to send us their records for inclusion. Contributing sources are usually added to this list as the distribution maps are updated, so if your contributions are not presently shown, please do not worry as they will be added. Adrian Dutton - Cerambycidae records. Added December 16th 2013. Adrian Dutton - 2011 Corizus hyoscyami record. Added August 20th 2013. Adrian Dutton - Cassida vibex record. Added November 15th 2014. Adrian Dutton - Speckled Bush Cricket record. Added February 8th 2017. Adrian Dutton - 1998 Anthracus consputus record. Added July 1st 2017. Adrian Dutton - 2017 Derephysia foliacea record. Added October 6th 2017. Adrian Dutton - Heather Bug and Leptoglossus occidentalis records. Added October 22nd 2014. Adrian Dutton - 2017 Graptus triguttatus record. Added November 12th 2017. Adrian Dutton - Nottinghamshire Bembidion femoratum records, 1998 - 2017. Added November 12th 2017. Adrian Dutton - 2017 Meloe proscarabaeus record. Added November 12th 2017. Adrian Dutton - 2017 Ctenicera cuprea record. Added November 13th 2017. Adrian Dutton - Selected Curculionidae records. Added February 7th 2018. Adrian Fowles - (Nottinghamshire data extracted from the National Recording Scheme for Coleoptera: Curculionoidea). Added January 26th 2018. Allan and Annette Binding - 2009 Sherwood Forest CP Cryptocephalus coryli records. Added September 11th 2009. Allan and Annette Binding - 2013 Clumber Park Cryptocephalus coryli record. Added July 30th 2013. Allan and Annette Binding - Clumber Park invertebrate records (Butterflies). Added October 15th 2017. Allan Foster - 2016 Arhopalus rusticus record. Added February 12th 2017. Amanda Hughes - 2016 Leptoglossus occidentalis record. Added February 9th 2017. Andrea Wright - 2018 Palloptera muliebris record. Added December 28th 2018. Andrew Skinner - 2016 Adscita statices record. Added October 27th 2017. Andrew Skinner - 2017 Meloe proscarabaeus record. Added November 12th 2017. Andy Adcock - Red-necked Footman record. Added June 23rd 2014. Andy Adcock - Meconema thalassinum record. Added January 12th 2016. Andy Ashley - Lepidoptera records. Added January 31st 2016. Andy Ashley - 2016 Lepidoptera records. Added October 26th 2017. Andy Ashley - 2018 Lepidoptera records. Added January 24th 2019. Andy Godfrey - 2006 Sherwood Heath SSSI invertebrate survey records. Added January 14th 2016. Andy Godfrey - (Saproxylic Diptera Survey of Birklands and Bilhaugh SSSI and SAC, Nottinghamshire - A report to Natural England, Oct 2010. Andy Hall - 2017 Chrysotoxum festivum record. Added November 2nd 2017. Andy Lowe - 2013 Lampyris noctiluca records from Clipstone Forest/Sherwood Pines. Added December 30th 2013. Andy Lowe - 2017 Meloe proscarabaeus record. Added November 12th 2017. Andy Warwick - 2016 Anaglyptus mysticus record. Added February 12th 2017. Anni Keene - 2018 Pachyrhinus lethierryi record. Added December 21st 2018. Anthony Langmead - 2016 Cimbex femorata record. Added February 9th 2017. Anthony Langmead - 2017 Bombylius major record. Added November 2nd 2017. Antoni Lachetta - 2015 Volucella inanis records. Added January 22nd 2016. Ashley Watson - 2016 Assorted Clumber Park Hemiptera records. Added November 7th 2017. Bill Ely - 1975 Glomeris marginata record. Added February 3rd 2016. Bob Merritt - Arachnida and aquatic Coleoptera records. Added December 17th 2013. Brian Wetton - Brian Wetton Diptera records sourced from the Sherwood Forest Invertebrate Directory 2014. Added February 11th 2017. British Arachnological Survey - (Sherwood Forest Country Park Arachnid Survey 1978-1979 Report) Sherwood Forest Pseudoscorpion records. British Myriapod and Isopod Group - Additional Nottinghamshire Chilopoda and Diplopoda records (historical). Added October 29th 2014. Carl Cornish - 2017 Volucella inanis record. Added January 29th 2018. Cate and Brian Kennewell - 2018 Small Ranunculus and Marbled Beauty records. Added January 24th 2019. Charles Cannon - 2018 Rhagium bifasciatum and Pyrochroa coccinea records. Added December 21st 2018. Charles Cannon - 2018 Myathropa florea record. Added December 28th 2018. Charlie Barnes - 2010 Panorpa germanica record. Added October 16th 2017. Charlie Barnes - 2012 Ilyocoris cimicoides, Capsus ater and Piezodorus lituratus records. Added November 8th 2017. Charlie Barnes - Assorted Coleoptera records. Added November 12th 2017. Chloe Ryder - 2016 Rhacognathus punctatus record. Added February 10th 2017. Chloe Ryder - 2016 Adscita statices and Corizus hyoscyami records. Added October 27th 2017. Chloe Ryder - 2017 Meloe proscarabaeus record. Added November 12th 2017. Chloe Ryder - 2018 Meloe proscarabaeus record. Added December 21st 2018. Chloe Ryder - 2018 Volucella zonaria record. Added December 28th 2018. Chris Davison - 2018 Ectemnius cavifrons record. Added December 1st 2018. Chris de Feu - 2015 Stenocorus meridianus record. Added November 13th 2017. Christine Perry - Phlogophora meticulosa record. Added January 31st 2016. Christine Perry - 2016 Epiphyas postvittana record. Added October 29th 2017. Colin Bates - 2018 Synanthedon formicaeformis (Red-tipped Clearwing) record. Added January 25th 2019. Colin Bowler - 2017 Agonopterix arenella record. Added October 28th 2017. Colin Watkin - 2018 Triphosa dubitata record. Added January 24th 2019. Craig Howat - 2015 Dermestes murinus record. Added January 24th 2016. Damian Taylor - 2015 Euclidia glyphica record. Added January 31st 2016. Damian Taylor - 2016 Hymenoptera records records. Added February 26th 2017. Damian Taylor - 2016 Tyria jacobaeae, Mimas tiliae and Zygaena filipendulae records. Added October 28th 2017. Damian Taylor - 2017 Volucella inanis and Bombylius major records. Added January 29th 2018. Damian Taylor - 2017 Hymenoptera records records. Added January 30th 2018. Damian Taylor - 2018 Lepidoptera records. Added February 4th 2019. Damian Taylor - 2018 Hymenoptera records. Added February 4th 2019. Darren Matthews - 2015 Leiobunum rotundum record. Added January 12th 2016. Darren Matthews - 2015 Orthoptera records. Added January 12th 2016. Darren Matthews - 2015 Arachnida, Myriapod and Isopod records. Added January 14th 2016. Darren Matthews - 2015 Assorted Hymenoptera and Heteroptera records. Added January 19th 2016. Darren Matthews - 2015 Panorpa communis and Diptera records. Added January 22nd 2016. Darren Matthews - 2015 Coleoptera records. Added January 24th 2016. Darren Matthews - 2015 Lepidoptera records. Added January 31st 2016. Darren Matthews - 2018 Anasimyia lineata record. Added May 12th 2018. Darren Matthews - 2018 Tabanus autumnalis, Loxocera albiseta and Micropeza corrigiolata records. Added August 11th 2018. Darren Matthews - 2018 Lithobius forficatus record. Added November 30th 2018. Darren Matthews - 2018 Pardosa saltans and Scytodes thoracica records. Added December 2nd 2018. Darren Matthews - 2018 Pantilius tunicatus and Idiocerus herrichi records. Added December 17th 2018. Darren Matthews - 2018 Assorted Coleoptera records. Added December 21st 2018. Darren Matthews - 2018 Assorted Diptera records. Added December 28th 2018. Dave Budworth - Ledra aurita record. Added August 18th 2018. Dave Morris - 2016 Opilione records. Added February 8th 2017. Dave Morton - Lepidoptera records. Added January 31st 2016. Dave Morton - 2016 Lepidoptera records. Added October 26th 2017. Dave Morton - 2017 Grypocoris stysi record. Added November 8th 2017. Dave Morton - 2018 Lepidoptera records. Added January 24th 2019. David and Veronica McGeever - Hymenoptera records. Added May 1st 2014. David and Veronica McGeever - Coleoptera records. Added June 14th 2014. David and Veronica McGeever - 2015 Juniper Shieldbug record. Added January 19th 2016. David and Veronica McGeever - 2015 Tachina ursina record. Added. Added January 22nd 2016. David and Veronica McGeever - 2016 Idiocerus herrichi and Bruchus rufimanus records. Added February 9th 2017. David and Veronica McGeever - Pantilius tunicatus and Megacoelum infusum records. Added September 11th 2017. David and Veronica McGeever - Assorted Meconema thalassinum records. Added October 15th 2017. David and Veronica McGeever - 2018 Ravenshead Box-tree Moth record. Added July 18th 2018. David and Veronica McGeever - 2018 Palloptera muliebris record. Added July 30th 2018. David Hursthouse - Budby South Forest Lepidoptera records. Added March 16th 2014. David Shaw - 2016 Corizus hyoscyami, Harmonia axyridis and Cicindela campestris records. Added February 9th 2017. David Yates - 2013 Corizus hyoscyami record. Added August 9th 2013. David Yates - 2008-2015 Lepidoptera records. Added January 31st 2016. David Yates - 2017 Pyrrhosoma nymphula record. Added October 15th 2017. Denton, M.L. Green, E.J. Legg, G. Hemingway, D.G. Marsh, R.J. and Sharp, D. - 2002 Arachnid survey Pseudoscorpion records. Derek Whiteley - Myriapod and Isopod records (including January 2016). Added February 3rd 2016. Derek Whiteley - Derek Whiteley Diptera records sourced from the Sherwood Forest Invertebrate Directory 2014. Added February 11th 2017. Derek Whiteley - 2016 Adelphocoris lineolatus record. Added November 8th 2017. Don McLeish - Clumber Park Lampyris noctiluca records. Added July 31st 2012. Dr Robert Tansey - Various invertebrate records. Added February 8th 2017. Duncan Lyon - Lepidoptera (Butterflies only) records. Added January 31st 2016. Duncan Lyon - 2017 Lasioglossum smeathmanellum record. Added October 18th 2017. Duncan Lyon - 2018 Hymenoptera records. Added December 1st 2018. Duncan Lyon - 2018 Lepidoptera (Butterflies) records. Added December 17th 2018. Duncan Lyon - 2018 Cicindela campestris record. Added December 21st 2018. Duncan Lyon - 2018 Currant Clearwing, Chimney Sweeper and Forester records. Added January 24th 2019. Eddie Nurcome - 2015 Cassida vibex record. Added January 24th 2016. Elizabeth Jones - 2017 Leptophyes punctatissima record. Added October 15th 2017. Forestry Commission - Lampyris noctiluca records from Clipstone Forest/Sherwood Pines. Added November 30th 2011. Gary Joynt - Sherwood Forest Synanthedon scoliaeformis records. Added June 30th 2011. Gary Joynt - 2012 Cryptocephalus coryli record. Added June 25th 2012. Gary Joynt - Chrysolina americana record. Added November 16th 2014. Gary Hobson - 2017 Uloborus plumipes record. Added December 22nd 2017. Gary Hobson - 1995 Acherontia atropos (Death's-head Hawk-moth) record. Added April 27th 2018. Graeme Turner - 2018 Geotrupes stercorarius record. Added December 21st 2018. Graham Beeley - 2014 Lepidoptera records. Added December 23rd 2014. Graham Beeley - 2016 Lepidoptera records. Added October 26th 2017. Graham Birkett - 2016 Euzophera pinguis record. Added October 29th 2017. Graham Birkett - 2017 Lepidoptera records. Added December 21st 2017. Howard Williams - Sherwood Forest Arachnida (including Opiliones) records. Added January 1st 2014. Howard Williams - Nelima gothica and Opilio canestrinii records. Added October 16th 2017. Howard Williams - Assorted Diptera records. Added November 2nd 2017. Howard Williams - Assorted Coleoptera records. Added November 12th 2017. Hugh Middleton - 2016 Barynotus moerens record. Added February 12th 2017. Ian Blackmore-Allen - Assorted Lepidoptera records. Added January 24th 2019. Ian Hunt - 2016 Lepidoptera records. Added October 26th 2017. Ian Hunt - 2018 Gynnidomorpha alismana record. Added January 26th 2019. Indy Kiemel and Agnes Kiemel - Assorted Lepidoptera records. Added January 24th 2019. Jane Carruthers - 2015 Leptoglossus occidentalis record. Added January 19th 2016. Jane Carruthers - 2015 Agelastica alni records. Added January 24th 2016. Jane Carruthers - 2018 Timandra comae, Autographa gamma and Odezia atrata records. Added January 25th 2019. Jane Carruthers - 2018 Bombus terrestris record. Added February 4th 2019. Jean Angove - 2017 Leptophyes punctatissima record. Added October 15th 2017. Jenny Cottingham - 2016 Chrysolina polita record. Added February 13th 2017. Jenny Wallace - 2010 Panorpa germanica record. Added October 16th 2017. Jenny Wallace - Coleoptera records from Langford Lowfields. Added November 12th 2017. Jerry Clough - Lepidoptera records. Added December 23rd 2014. John and Denise Bingham - 2018 Platystomos albinus record. Added May 30th 2018. John and Denise Bingham - Assorted 2018 Sherwood Forest invertebrate records. Added April 18th 2019. John Osborne - 2018 Leptoglossus occidentalis record. Added November 26th 2018. John Osborne - 2018 Ctenophora ornata record. Added December 28th 2018. Jim Flanagan - 2016 Hemiptera records from Misson Carr. Added February 9th 2017. Jim Flanagan - 2016 Assorted invertebrate records from Misson Carr. Added February 10th 2017. Jim Flanagan - 2016 Coleoptera records from Misson Carr. Added. Added February 10th 2017. Jim Flanagan - Assorted 2016 Butterfly records. Added October 15th 2017. Jim Flanagan - 2016 Hemiptera records. Added November 7th 2017. Jonathan Newman - Leptoglossus occidentalis record. Added October 22nd 2014. Keith Alexander - Invertebrate assemblage condition at Birklands & Bilhaugh SSSI/Birklands West & Ollerton Corner SSSI surveys 2009-10. Keith and Belinda Lugg - 2015 Forficula auricularia record. Added January 12th 2016. Keith and Belinda Lugg - 2015 Opilione records. Added January 12th 2016. Keith and Belinda Lugg - 2015 Myriapod and Isopod records. Added January 14th 2016. Keith Woodvine - 2015 Clytus arietis record. Added January 24th 2016. Laurence Archibald - 2015 Conocephalus discolor record. Added January 12th 2016. Laurence Archibald - 2015 Volucella zonaria and Eristalis pertinax records. Added January 22nd 2016. Laurence Archibald - 2017 Stictoleptura rubra record. Added November 12th 2017. Les Catchick - Ilyocoris cimicoides record. Added October 22nd 2014. Liam Andrews - 2015 Pseudoscorpion records. Added December 14th 2015. Liam Andrews - Assorted 2016 Invertebrate records. Added February 8th 2017. Liam Andrews - 2016 Arachnid and Pseudoscorpion records. Added February 8th 2017. Linda Adams - 2017 Volucella zonaria record. Added November 2nd 2017. Louise and Alastair Gordon - Amphimallon solstitiale record. Added November 19th 2014. Lound Moth Group - Lepidoptera records. Added December 15th 2013. Lound Moth Group - 2014 Lepidoptera records. Added December 23rd 2014. Lound Moth Group - 2016 Lepidoptera records. Added October 26th 2017. Lound Moth Group - 2017 Lepidoptera records (site additions only). Added December 20th 2017. Lound Moth Group - Assorted Idle Valley/Lound GP Butterfly records. Added January 31st 2018. Lound Moth Group - Assorted Idle Valley/Lound GP Odonata records. Added February 2nd 2018. Lound Moth Group - 2018 Satyr Pug and Gynnidomorpha alismana record. Added July 25th 2018. Lound Moth Group - 2018 Lepidoptera records (including butterflies). Added January 24th 2019. Lound Moth Group - 2018 Odonata records. Added January 27th 2019. Lynn Victor - 2016 Rhagium mordax record. Added February 14th 2017. Mark Dennis - Colwick Park Bird Report Lepidoptera records 1993-2001. Added January 31st 2016. Martin Dale - 2015 Dorcus parallelipipedus record. Added January 24th 2016. Martin Dale - Assorted Lepidoptera records 2015. Added January 31st 2016. Martin Dale - 2016 Lampyris noctiluca records. Added November 13th 2017. Martin Gray - Nottinghamshire Coleoptera records. Added November 11th 2017. Martin Gray - Nottinghamshire Lepidoptera records. Added January 24th 2019. Martin Harvey - Assorted invertebrate records. Added April 26th 2014. Martin Kennewell - 2003 and 2004 Eriogaster lanestris records. Added March 13th 2018. Martin Warne - Assorted invertebrate records. Added April 15th 2014. Martin Warne - Assorted invertebrate records. Added October 22nd 2014. Martin Warne - 2017 Oxyporus rufus record. Added November 12th 2017. Martin Warne - 2018 Ptychoptera contaminata record. Added December 28th 2018. Meg Skinner - 2015 Opilione records. Added January 12th 2016. Meg Skinner - 2015 Orthoptera and Pseudoscorpion records. Added January 12th 2016. Meg Skinner - 2015 Arachnida, Myriapod and Isopod records. Added January 14th 2016. Meg Skinner - 2015 Assorted Hymenoptera and Heteroptera records. Added January 19th 2016. Meg Skinner - 2015 Diptera records. Added January 22nd 2016. Meg Skinner - 2015 Coleoptera records. Added January 24th 2016. Meg Skinner - 2015 Lepidoptera records. Added January 31st 2016. Meg Skinner - Assorted Lepidoptera records. Added January 24th 2019. Meg Skinner - 2016, 2017 and 2018 Arachnida records. Added January 26th 2019. Meg Skinner - Pseudoscorpion records. Added January 26th 2019. Meg Skinner - Assorted Butterfly records. Added January 26th 2019. Meg Skinner - 2017 and 2018 Coleoptera records. Added January 26th 2016. Meg Skinner - Assorted Odonata, Opilione, Hemiptera and Orthoptera records. Added January 27th 2016. Melanie Newman - Ledra aurita record. Added September 2nd 2018. Melanie Newman - Assorted Lepidoptera records. Added January 24th 2019. Michael Blount - 2015 Corizus hyoscyami record. Added January 19th 2016. Michael Blount - 2015 Volucella zonaria record. Added January 22nd 2016. Michael Blount - 2016 Tetragnatha montana record. Added February 12th 2017. Michael Blount - 2016 Korscheltellus lupulina, Panemeria tenebrata and Esperia sulphurella records. Added October 29th 2017. Michael Blount - 2017 Harmonia axyridis record. Added November 12th 2017. Michael Blount - 2018 Panorpa communis record. Added November 29th 2018. Michael Blount - 2018 Gasteruption jaculator record. Added December 1st 2018. Michael Blount - 2018 Silver-washed Fritillary record. Added December 17th 2018. Michael Craven - Assorted 2017 invertebrate records. Added December 18th 2017. Michael Craven - 2017 Volucella zonaria and Volucella pellucens records. Added December 20th 2017. Michael Craven - Assorted 2018 invertebrate records. Added January 24th 2019. Michael Walker - Assorted Coleoptera records. Added November 16th 2014. Michael Walker - 2017 Acanthosoma haemorrhoidale record. Added November 8th 2017. Mick Bajcar - 2016 Sphinx ligustri record. Added October 26th 2017. Mike Hill - Arhopalus rusticus record. Added November 15th 2014. Mike Hill - 2015 Volucella zonaria record. Added January 22nd 2016. Mike Hill - 2015 Arhopalus rusticus record. Added January 24th 2016. Mike Hill - Assorted Opilione records 2015. Added January 31st 2016. Mike Hill - 2017 Andrena clarkella record. Added October 18th 2017. Mike Hill - 2018 Large Red-belted Clearwing and Broad-bordered Bee-Hawk records. Added January 24th 2019. Mike Hyatt - Assorted 2018 Lepidoptera records. Added January 24th 2019. M L Denton - 2002 Sherwood Forest Coleoptera survey data. Added January 4th 2014. Moira Worthington - Gymnocheta viridis record. Added January 22nd 2016. Natural England - Invertebrate Site Register (Sherwood Forest NNR Coleoptera records) 2006. NBGRC (Nottingham Biological and Geological Record Centre) - 2015 Gorse Shieldbug record. Added January 19th 2016. NBGRC - 2016 Euclidia glyphica, Mimas tiliae and Tyria jacobaeae records. Added October 27th 2017. NBGRC - 2017 Chrysotoxum festivum and Volucella zonaria records. Added November 2nd 2017. NBGRC - Assorted Nottinghamshire Butterfly records. Added January 31st 2018. NBGRC - Assorted Nottinghamshire Pseudoscorpion records. Added January 31st 2018. NBGRC - Assorted Nottinghamshire Myriapod records. Added January 31st 2018. NBGRC - Assorted Nottinghamshire Dermaptera and Orthoptera records. Added February 1st 2018. NBGRC - Assorted Nottinghamshire Odonata records. Added February 2nd 2018. NBGRC - Assorted Arachnida records for Nottinghamshire. Added December 2nd 2018. NBGRC - Assorted Nottinghamshire Hemiptera records. Added December 17th 2018. NBGRC - 2018 Assorted Nottinghamshire Coleoptera records. Added December 27th 2018. NBGRC - 2018 Neobisium carcinoides record. Added December 27th 2018. NBGRC - Assorted 2018 Nottinghamshire Orthoptera records. Added December 27th 2018. NBGRC - Assorted 2018 Nottinghamshire Arachnida and Odonata records. Added December 27th 2018. NBGRC - 2018 Nottinghamshire Hemiptera and Hymenoptera records. Added December 27th 2018. NBGRC - 2018 Nottinghamshire Diptera records. Added December 28th 2018. NBGRC - Assorted 2017 and 2018 Nottinghamshire Lepidoptera records. Added January 24th 2019. NBN Gateway - Nottinghamshire Pseudoscorpion records. Added January 12th 2016. Netherfield Wildlife Group - Myriapod and Isopod records. Added March 12th 2014. Netherfield Wildlife Group - Orthoptera records. Added March 12th 2014. Netherfield Wildlife Group - Arachnida (including Opiliones) records. Added March 12th 2014. Netherfield Wildlife Group - Hemiptera (including Heteroptera and Homoptera) records. Added March 12th 2014. Netherfield Wildlife Group - Diptera records. Added March 12th 2014. Netherfield Wildlife Group - Hymenoptera records. Added March 13th 2014. Netherfield Wildlife Group - Coleoptera records. Added March 13th 2014. Netherfield Wildlife Group - Lepidoptera records. Added March 16th 2014. Netherfield Wildlife Group - 2015 Arachnida, and Myriapod records. Added January 14th 2016. Netherfield Wildlife Group - 2015 Diptera records. Added January 22nd 2016. Netherfield Wildlife Group - 2015 Coleoptera records. Added January 24th 2016. Netherfield Wildlife Group - Recent Lepidoptera records. Added January 31st 2016. Netherfield Wildlife Group - Sympetrum danae record. Added October 15th 2017. Netherfield Wildlife Group - Recent Lepidoptera records. Added October 26th 2017. Netherfield Wildlife Group - Recent Diptera records. Added November 2nd 2017. Netherfield Wildlife Group - Recent Hemiptera records. Added November 7th 2017. Netherfield Wildlife Group - Recent Coleoptera records. Added November 12th 2017. Nick Crouch - Assorted invertebrate records. Added April 17th 2014. Nick Crouch - 2015 Nigma walckenaeri record. Added January 14th 2016. Nick Crouch - 2015 Anaglyptus mysticus record. Added January 24th 2016. Nottingham City Council - St Anns Allotments invertebrate records. Added January 22nd 2016. Nottingham City Council - St Anns Allotments Lepidoptera records. Added January 31st 2016. Nottingham Natural History Museum - 1966 Acherontia atropos (Death's-head Hawk-moth) record. Added April 27th 2018. Nottinghamshire County Council - Sherwood Forest Rothamsted trap results 1986-1990. Added December 23rd 2014. Nottinghamshire Wildlife Trust - Trust reserves Lepidoptera (Moths only) records. Added December 15th 2013. Nottinghamshire Wildlife Trust - Coleoptera records for Kirton Wood. Added April 12th 2014. Nottinghamshire Wildlife Trust - Trust reserves Opilione (Harvestmen) records. Added April 26th 2014. Nottinghamshire Wildlife Trust - Trust reserves Chilopoda and Diplopoda (Centipedes and Millipedes) records. Added May 3rd 2014. Nottinghamshire Wildlife Trust - Trust reserves Arachnida records. Added May 5th 2014. Nottinghamshire Wildlife Trust - Trust reserves Coleoptera records. Added May 26th 2014. Nottinghamshire Wildlife Trust - Invertebrate records. Added January 19th 2016. Nottinghamshire Wildlife Trust - Trust reserves Diptera records. Added January 22nd 2016. Nottinghamshire Wildlife Trust - Attenborough NR Coleoptera records. Added January 23rd 2016. Oliver Lockett - 2015 Macroglossum stellatarum record. Added January 31st 2016. Ona Borroff - 2017 Laothoe populi record. Added October 29th 2017. Paul and Helen Brock - 2018 Platystomos albinus record. Added May 30th 2018. Paul and Helen Brock - 2018 Large Red-belted Clearwing records. Added January 24th 2019. Paul and Helen Brock - Assorted 2018 Sherwood Forest invertebrate records. Added April 18th 2019. Paul Buxton - 2016 Aromia moschata record. Added February 12th 2017. Paul Davidson - Smerinthus ocellata record. Added January 31st 2016. Paul Naylor - Anax parthenope record. Added November 26th 2018. Paul Richards - 1997 Steetley Quarry (Nottinghamshire section) Myriapod and Isopod records. Added February 3rd 2016. Pauline Bradford - Assorted invertebrate records. Added June 1st 2014. Pauline Bradford - 2014 Odonata and Opilione records. Added October 19th 2014. Pauline Bradford - 2014 Hymenoptera, Diptera and Hemiptera records. Added October 22nd 2014. Pauline Bradford - 2014 Coleoptera records. Added November 15th 2014. Pauline Bradford - Assorted 2012 and 2013 invertebrate records. Added November 19th 2014. Pauline Bradford - 2014 Lepidoptera records. Added December 23rd 2014. Pauline Bradford - Enoplognatha ovata and Xysticus cristatus records. Added January 14th 2016. Pauline Bradford - Assorted invertebrate records 2015. Added January 24th 2016. Pauline Bradford - Assorted Lepidoptera records 2015. Added January 31st 2016. Pauline Bradford - 2016 and 2017 Butterfly records. Added. Added October 15th 2017. Pauline Bradford - 2017 Lepidoptera (moths) and Odonata records. Added. Added October 16th 2017. Pauline Bradford - 2017 Assorted invertebrate records. Added November 2nd 2017. Pauline Bradford - 2018 Tetrix subulata record. Added November 26th 2018. 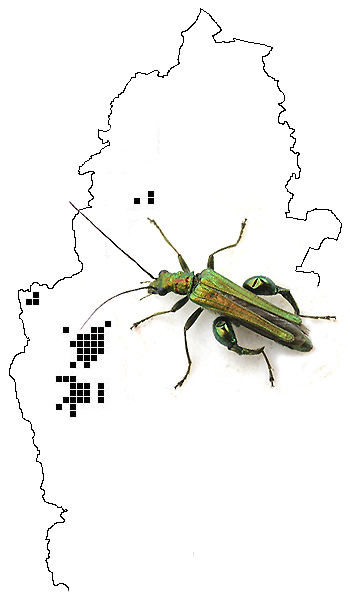 Pauline Bradford - 2018 Orthoptera records. Added November 26th 2018. Pauline Bradford - 2018 Hymenoptera records. Added December 1st 2018. Pauline Bradford - 2018 Hemiptera records. Added December 17th 2018. Pauline Bradford - 2018 Butterfly records. Added December 17th 2018. Pauline Bradford - 2018 Coleoptera records. Added December 21st 2018. Pauline Bradford - 2018 Diptera records. Added December 28th 2018. Pauline Bradford - 2018 Lepidoptera records. Added January 24th 2019. Peter Acton - 2015 Euclidia glyphica record. Added January 31st 2016. Peter Acton - 2016 Hymenoptera records. Added February 26th 2017. Peter Acton - 2016 Euclidia glyphica and Zygaena filipendulae records. Added October 27th 2017. Peter Acton - 2016 Volucella zonaria record. Added November 2nd 2017. Peter Acton - 2017 Volucella inanis records. Added January 29th 2018. Peter Acton - 2017 Laothoe populi, Tyria jacobaeae and Bombylius major records. Added January 29th 2018. Peter Acton - 2017 Hymenoptera records records. Added January 30th 2018. Peter Acton - 2018 Autographa gamma record. Added January 26th 2019. Peter Acton - 2018 Assorted Lepidoptera records. Added February 4th 2019. Peter Acton - 2018 Hymenoptera records. Added February 4th 2019. Peter Acton - 2018 Bombylius major, Melolontha melolontha and Phyllopertha horticola records. Added February 4th 2019. Peter Acton - 2018 Calopteryx splendens record. Added February 4th 2019. Peter Kirby - Bentinck Tip & Void Invertebrate survey 2007 results. Added February 8th 2017. Peter O'Sullivan - Speckled Bush Cricket record. Added October 19th 2014. Peter Smith - 2015 Nigma walckenaeri record. Added January 14th 2016. Phil Burnham - 2015 Psyllobora vigintiduopunctata record. Added January 24th 2016. Phil Burnham - Lepidoptera records (mostly Butterflies). Added January 31st 2016. Phil Burnham - 2017 Phyllopertha horticola record. Added November 12th 2017. Phil Cadman - 2011, 2012, 2013 and 2014 Lepidoptera records. Added January 31st 2016. Phil Cadman - 2015 Lepidoptera records. Added January 31st 2016. Phil Cadman - 2016 Lepidoptera records. Added October 26th 2017. Phil Cadman - 2017 Leptura quadrifasciata record. Added November 12th 2017. Phil Cadman - 2017 Psychoides filicivora record. Added December 22nd 2017. Phil Cadman - 2018 Assorted Lepidoptera records. Added January 24th 2019. Phil Lee - North Nottinghamshire Lepidoptera records. Added March 16th 2014. Phil Lee - Argynnis paphia and Satyrium w-album records. Added October 15th 2017. Phil Lee - Assorted Lepidoptera records. Added October 26th 2017. Phil Lee - 2017 Phasia hemiptera record. Added November 2nd 2017. Phil Lee - Assorted north Nottinghamshire Coleoptera records. Added November 12th 2017. Phil Lee - Anania lancealis and Phtheochroa inopiana records. Added June 30th 2018. Phil Lee - Ledra aurita record. Added July 15th 2018. Phil Lee - Assorted lepidoptera records. Added July 30th 2018. Phil Lee - 2018 Prochoreutis myllerana record. Added August 6th 2018. Phil Lee - 2018 Recurvaria leucatella record. Added January 24th 2019. Ray Cobb - 2018 Psychoides filicivora record. Added January 24th 2019. Rebecca Parker-Edmondston - 2018 Geotrupes stercorarius record. Added December 21st 2018. Richard Davidson - 2016 Capsus ater and Gastrodes grossipes records. Added November 9th 2017. Richard Davidson - Assorted Coleoptera records. Added November 11th 2017. Richard Hand - Urocerus gigas record. Added October 21st 2014. Richard Heath - 2015 Dorcus parallelipipedus record. Added January 24th 2016. Richard Mitchell - Sphinx ligustri and Mimas tiliae records. Added January 31st 2016. Richard Rogers - Odonata, Orthoptera, Lepidoptera and miscellaneous invertebrate records. Added November 30th 2013. Rob Edmunds (Nottinghamshire Biological and Geological Records Centre) - 1977 Lampyris noctiluca record. Added February 9th 2017. Robin Scagell - 2017 Clumber Park Lampyris noctiluca record. Added November 13th 2017. Rob Johnson - 2015 Agelastica alni records. Added January 24th 2016. Rob Johnson - 2016 Volucella zonaria record. Added November 2nd 2017. Rob Johnson - 2018 Colletes hederae record. Added October 6th 2018. Rob Johnson - 2018 Odonata and Orthoptera records. Added November 29th 2018. Rob Johnson - 2018 Hymenoptera records. Added December 1st 2018. Rob Johnson - 2018 Arachnida records. Added December 2nd 2018. Rob Johnson - 2018 Hemiptera records. Added December 17th 2018. Rob Johnson - 2018 Assorted Coleoptera records. Added December 21st 2018. Rob Johnson - 2018 Diptera records. Added December 28th 2018. Rob Johnson - Assorted 2018 Lepidoptera records. Added January 24th 2019. Robert Brown - Micrommata virescens and Slender Groundhopper records. Added October 19th 2014. Robert and Jill Carlyle - 2015 Lepidoptera records. Added February 6th 2016. Robert and Jill Carlyle - 2012 and 2013 Lepidoptera records. Added February 7th 2016. Robert and Jill Carlyle - 2016 Volucella zonaria record. Added February 11th 2017. Robert and Jill Carlyle - 2016 Lepidoptera records. Added October 26th 2017. Rob Woodward - 2018 Dark Sword-grass record. Added October 6th 2018. Rob Woodward - 2018 Cydalima perspectalis record. Added October 22nd 2018. Ross Lacey - 2016 Amblyptilia acanthadactyla record. Added October 27th 2017. Roy Frost - Orthoptera records. Added October 19th 2014. Russell Calvert - 2019 Dicranopalpus ramosus record. Added January 28th 2019. Sandra Parkin - Meconema thalassinum record. Added January 12th 2016. Sandra Parkin - Eilema complana, Laothoe populi and Notodonta dromedarius records 2015 January 31st 2016. Sean Tobin - 2014 Lepidoptera records. Added December 23rd 2014. Sean Tobin - Assorted invertebrate records 2015. Added January 24th 2016. Sean Tobin - 2015 Lepidoptera records. Added January 31st 2016. Sean Tobin - 2015 Dicronopalpus ramosus record. Added January 12th 2016. Sean Tobin - 2016 Lepidoptera records. Added October 26th 2017. Sean Tobin - 2018 Bestwood Village Box-tree Moth record. Added July 7th 2018. Sean Tobin - 2018 Leptoglossus occidentalis record. Added November 26th 2018. Sean Tobin - 2018 Chrysolina fastuosa record. Added December 21st 2018. Sean Tobin - 2018 Exochomus quadripustulatus and Halyzia sedecimguttata records. Added December 29th 2018. Sean Tobin - 2018 Lepidoptera records. Added January 24th 2019. Scott Donauer - 2016 Neobisium carcinoides record. Added February 8th 2017. Sheila Wright - Nottinghamshire macro moth reports 2003-2012. Added April 10th 2014. Sheila Wright - Nottinghamshire macro moth report 2013. Added December 23rd 2014. Sheila Wright - Records from the Nottinghamshire macro moth report 2014. Added January 31st 2016. Sheila Wright - 2012 Longitarsus dorsalis record. Added February 11th 2016. Sheila Wright - Records from the Nottinghamshire macro moth report 2016. Added October 26th 2017. Sheila Wright - Records from the Nottinghamshire macro moth report 2015. Added October 26th 2017. Sheila Wright - Records from the Nottinghamshire macro moth report 2017. Added January 24th 2019. Sheila Wright and John Osborne - 2018 Ctenophora ornata record. Added December 28th 2018. Shelena Hartley - 2017 Dorcus parallelipipedus record. Added November 12th 2017. Sherwood Forest Invertebrate Directory 2014 - Sherwood Forest NNR Lepidoptera records. Added October 26th 2017. Sherwood Forest Trust - 2008 Oak Tree Heath Odonata, Orthoptera and Lepidoptera survey data. Added January 3rd 2014. Sherwood Forest Trust - 2008 Oak Tree Heath Coleoptera survey data. Added January 4th 2014. Sherwood Forest Trust - 2008 Oak Tree Heath Diptera and Hymenoptera survey data. Added January 5th 2014. Simon Barsby - 2017 Volucella zonaria record. Added November 2nd 2017. Sorby Natural History Society - Assorted Hemiptera records from north Nottinghamshire. Added November 7th 2017. Stephen Palmer - Assorted Lepidoptera records. Added October 26th 2017. Steve Horne - Assorted Odonata records. Added January 31st 2016. Steve Horne - Assorted Lepidoptera records. Added January 31st 2016. Steven Chick - 2016 Nicrophorus investigator record. Added February 13th 2017. Steven Chick - Assorted 2017 Lepidoptera records. Added October 27th 2017. Steven Chick - 2017 Phymatodes testaceus record. Added November 12th 2017. Steven Chick - 2018 Small Copper record. Added December 17th 2018. Steven Chick - 2018 Assorted Coleoptera records from MV light. Added December 21st 2018. Steven Chick - 2018 Palloptera muliebris record. Added December 28th 2018. Steven Chick - 2018 Lepidoptera records. Added January 24th 2019. Stuart Warrington - The National Trust's invertebrate records for Clumber Park. Added February 8th 2017. Stuart Warrington/The National Trust - Clumber Park Hemiptera records. Added February 10th 2017. Stuart Warrington/The National Trust - Clumber Park Lepidoptera records. Added October 26th 2017. Tamar Feast - 2015 Cassida vibex record. Added January 24th 2016. The National Trust - Clumber Park Odonata records. Added February 8th 2017. The National Trust - Clumber Park Orthoptera records. Added February 8th 2017. The National Trust - Allan and Annette Binding assorted Clumber Park invertebrate records. Added February 10th 2017. The National Trust - Clumber Park Arachnida and Opilione records. Added February 11th 2017. The National Trust - Clumber Park Diptera records. Added February 11th 2017. The National Trust - Clumber Park Coleoptera records. Added February 12th 2017. The National Trust - Allan and Annette Binding Clumber Park Coleoptera records. Added February 12th 2017. The National Trust - Clumber Park Butterfly records. Added October 15th 2017. Tim Sexton/Nottinghamshire Wildlife Trust - Lepidoptera records. Added January 31st 2016. Tim Sexton/Nottinghamshire Wildlife Trust - Assorted invertebrate records from Attenborough NR 2016. Added. Added February 8th 2017. Tim Sexton - 2013 Corizus hyoscyami record. Added August 9th 2013. Tim Sexton - Assorted invertebrate records. Added October 22nd 2014. Tim Sexton - 2015 Gonocerus acuteangulatus record. Added April 2015. Tim Sexton - 2015 Nemastoma bimaculatum record. Added January 13th 2016. Tim Sexton - 2015 Arachnida, Myriapod and Isopod records. Added January 14th 2016. Tim Sexton - Hymenoptera and Heteroptera records. Added January 19th 2016. Tim Sexton - 2015 Diptera records. Added January 22nd 2016. Tim Sexton - 2015 Coleoptera records. Added. Added January 23rd 2016. Tim Sexton - Caloptilia falconipennella and Cicones undatus records. Added February 28th 2017. Tim Sexton - 2017 Notaris scirpi record. Added March 30th 2017. Tim Sexton - 2017 Perapion curtirostre, Pelenomus comari records. Added. Added April 30th 2017. Tim Sexton - 2017 Microplontus campestris, Ischnopterapion virens and Notaris acridulus records. Added May 28th 2017. Tim Sexton - 2017 Cryptorhynchus lapathi record. Added June 15th 2017. Tim Sexton - 2017 Meconema meridionale record. Added October 15th 2017. Tim Sexton - 2017 Archiboreoiulus pallidus record. Added November 2nd 2017. Tim Sexton - Assorted 2017 Hemiptera and Coleoptera records. Added November 7th 2017. Tim Sexton - 2018 Haplophthalmus mengii and Macrosternodesmus palicola records. Added November 30th 2018. Tim Sexton - 2018 Anthocoris visci and Hypseloecus visci records. Added Added November 30th 2018. Tim Sexton - 2018 Roesel's Bush Cricket and Derephysia foliacea records. Added December 16th 2018. Tim Sexton - 2018 Assorted Coleoptera records. Added December 21st 2018. Tim Sexton - Acericerus heydenii, Ribautiana tenerrima, Issus coleoptratus and Eupteryx thoulessi records from early 2019. Added January 21st 2019. Tim Sexton - 2019 Berytinus minor record. Added April 16th 2019. Tom Hibbert - 2017 Volucella zonaria record. Added November 2nd 2017. Tony Barber - Late 1960's/early 1970's Chilopoda and Diplopoda (Centipedes and Millipedes) records. Added October 20th 2014. Tony Kavanagh - 2015 Netherfield Arachnida records. Added January 14th 2016. Tony Kavanagh - 2018 Netherfield Arachnida records. Added December 2nd 2018. Trevor and Dilys Pendleton - Miscellaneous invertebrate records. Added November 30th 2013. Trevor and Dilys Pendleton - 2014 Odonata and Orthoptera records. Added October 19th 2014. Trevor and Dilys Pendleton - 2014 Arachnida (including Opiliones) records. Added October 20th 2014. Trevor and Dilys Pendleton - 2014 Chilopoda and Diplopoda (Centipedes and Millipedes) records. Added October 20th 2014. Trevor and Dilys Pendleton - 2014 Hymenoptera and Hemiptera records. Added October 22nd 2014. Trevor and Dilys Pendleton - 2014 Coleoptera records. Added November 15th 2014. Trevor and Dilys Pendleton - 2014 Lepidoptera records. Added November 15th 2014. Trevor and Dilys Pendleton - 2015 Opilione records. Added October 30th 2015. Trevor and Dilys Pendleton - 2015 Chilopoda and Diplopoda (Centipedes and Millipedes) records. Added October 30th 2015. Trevor and Dilys Pendleton - 2015 Orthoptera and Pseudoscorpion records. Added January 12th 2016. Trevor and Dilys Pendleton - 2015 Opilione records. Added January 12th 2016. Trevor and Dilys Pendleton - 2015 Arachnida, Myriapod and Isopod records. Added January 14th 2016. Trevor and Dilys Pendleton - 2015 Hymenoptera and Heteroptera records. Added January 19th 2016. Trevor and Dilys Pendleton - 2015 Diptera records. Added January 22nd 2016. Trevor and Dilys Pendleton - 2015 Coleoptera records. Added January 24th 2016. Trevor and Dilys Pendleton - 2015 Lepidoptera records. Added January 31st 2016. Trevor and Dilys Pendleton - Assorted 2016 invertebrate records. Added February 8th 2017. Trevor and Dilys Pendleton - Diptera records from the Sherwood Forest Invertebrate Directory 2014. Added February 10th 2017. Trevor and Dilys Pendleton - Hemiptera records from the Sherwood Forest Invertebrate Directory 2014. Added February 10th 2017. Trevor and Dilys Pendleton - 2017 Lepidoptera (Butterfly) records. Added October 15th 2017. Trevor and Dilys Pendleton - 2017 Odonata records. Added October 15th 2017. Trevor and Dilys Pendleton - 2017 Orthoptera records. Added October 15th 2017. Trevor and Dilys Pendleton - 2017 Mecoptera records. Added October 16th 2017. Trevor and Dilys Pendleton - 2017 Nothochrysa capitata record. Added October 16th 2017. Trevor and Dilys Pendleton - 2017 Opilione records. Added October 16th 2017. Trevor and Dilys Pendleton - 2017 Pseudoscorpion records. Added October 16th 2017. Trevor and Dilys Pendleton - 2017 Isopod records. Added October 31st 2017. Trevor and Dilys Pendleton - 2017 Hymenoptera records. Added October 18th 2017. Trevor and Dilys Pendleton - 2017 Myriapod records. Added November 1st 2017. Trevor and Dilys Pendleton - 2017 Diptera records. Added November 2nd 2017. Trevor and Dilys Pendleton - 2017 Arachnida records. Added November 4th 2017. Trevor and Dilys Pendleton - 2017 Hemiptera records. Added November 7th 2017. Trevor and Dilys Pendleton - 2017 Coleoptera records. Added November 13th 2017. Trevor and Dilys Pendleton - 2018 Isopod records. Added November 26th 2018. Trevor and Dilys Pendleton - 2018 Mecoptera, Orthoptera and Opilione records. Added November 26th 2018. Trevor and Dilys Pendleton - 2018 Forficula auricularia records. Added November 26th 2018. Trevor and Dilys Pendleton - 2018 Chernes cimicoides record. Added November 26th 2018. Trevor and Dilys Pendleton - 2018 Orthoptera records. Added November 26th 2018. Trevor and Dilys Pendleton - 2018 Myriapoda records. Added November 30th 2018. Trevor and Dilys Pendleton - 2018 Hymenoptera records. Added December 1st 2018. Trevor and Dilys Pendleton - 2018 Arachnida records. Added December 2nd 2018. Trevor and Dilys Pendleton - 2018 Hemiptera and Lepidoptera (Butterfly) records. Added December 17th 2018. Trevor and Dilys Pendleton - 2018 Coleoptera records. Added December 21st 2018. Trevor and Dilys Pendleton - 2018 Diptera records. Added December 28th 2018. Trevor and Dilys Pendleton - 2018 Lepidoptera records. Added January 24th 2019. Trevor Harris - 2012 and 2016 Lampyris noctiluca records from Clumber Park. Added November 13th 2017. UK Glow Worm Survey - 2017 Clumber Park Lampyris noctiluca record. Added November 13th 2017. UK Pseudoscorpion Recording Scheme - Nottinghamshire Pseudoscorpion records. Added January 12th 2016. Vikii Robinson - 2018 Leptoglossus occidentalis record. Added November 26th 2018. Wil Heeney - 2014 Odonata and Orthoptera records. Added October 19th 2014. Wil Heeney - 2014 Hymenoptera records. Added October 21st 2014. Wil Heeney - 2014 Diptera and Hemiptera records. Added October 22nd 2014. Wil Heeney - 2014 Coleoptera records. Added November 15th 2014. Wil Heeney - 2014 Lepidoptera records. Added December 23rd 2014. Wil Heeney - 2015 Orthoptera and Pseudoscorpion records. Added January 12th 2016. Wil Heeney - 2015 Opilione records. Added January 12th 2016. Wil Heeney - 2015 Arachnida, Myriapod and Isopod records. Added January 14th 2016. Wil Heeney - 2015 Assorted Hymenoptera and Heteroptera records. Added January 19th 2016. Wil Heeney - 2015 Diptera records. Added January 22nd 2016. Wil Heeney - 2015 Coleoptera records. Added January 24th 2016. Wil Heeney - 2015 Lepidoptera records. Added January 31st 2016. Wil Heeney - Assorted 2016 invertebrate records. Added February 9th 2017. Wil Heeney - 2016 Lepidoptera records. Added October 26th 2017. Wil Heeney - 2018 Leiobunum sp.A and Argiope bruennichi records. Added November 29th 2018. Wil Heeney - 2019 Demetrias imperialis record. Added March 13th 2019.